Despite me vowing to eat healthy in the run up to Christmas (oh that’s right, I said the blasphemous ‘C’ word…Christmas, right? 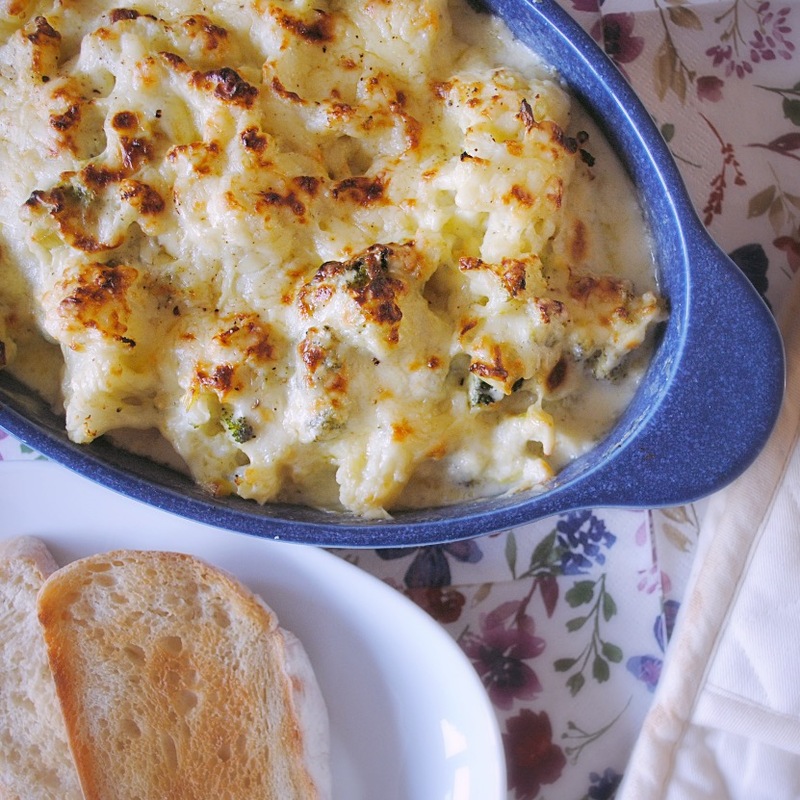 ), the cold weather always has me craving comfort food – and what’s more comforting than cauliflower cheese?! I like to think this is sort of good for you, as I pack it full of leeks and broccoli too. I don’t like broccoli much on its own, but when it’s covered in steaming hot cheesy sauce that’s masking the entire flavour, well we get along JUST FINE. 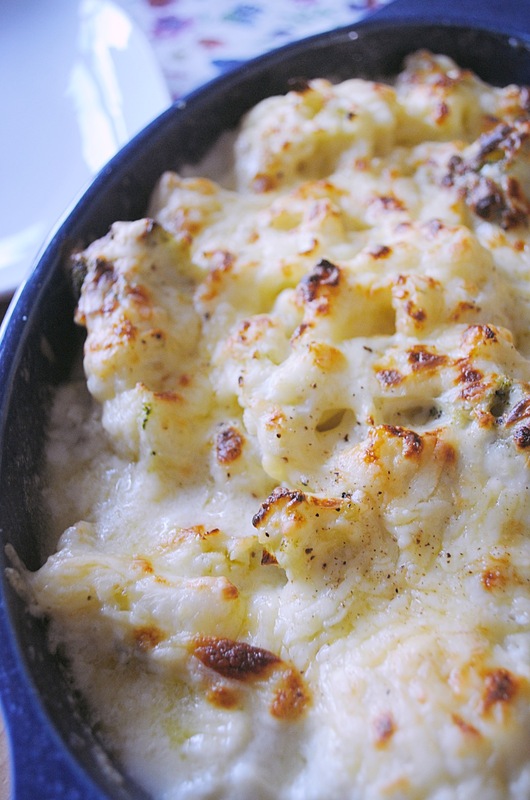 Dish yourself a hefty portion, snuggle up on the sofa and feast upon the cheesy goodness. Cut your cauliflower and broccoli into chunks, and finely chop your leeks. Bring a pan to the boil and drop in your cauliflower and broccoli. Boil for 5-7 minutes or until soft. In a separate pan fry off your leeks in a generous knob of butter. 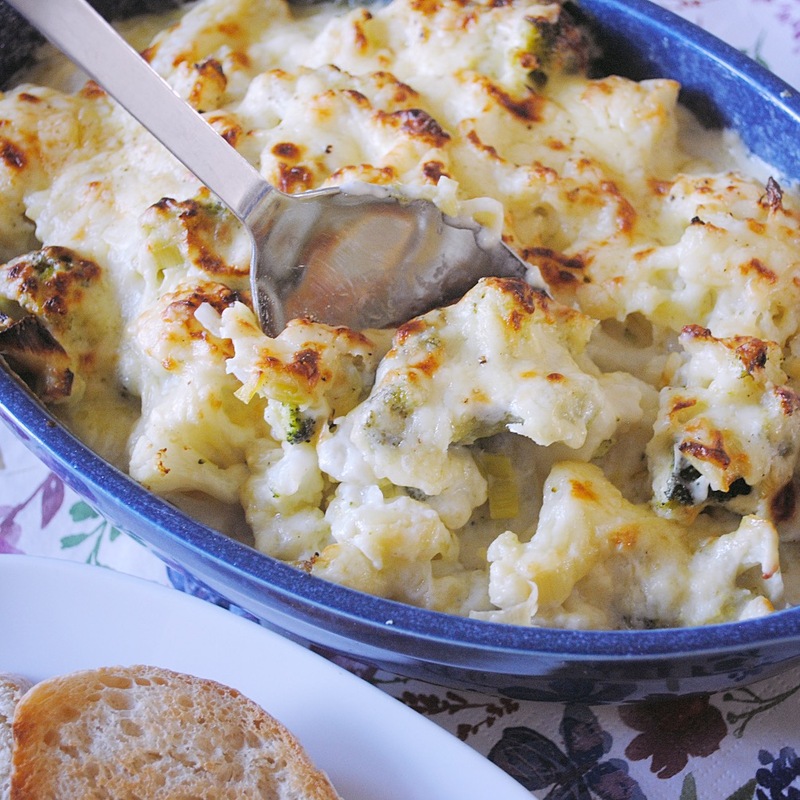 Once everything is softened, drain and pour the leeks, cauliflower and broccoli into an oven proof dish. Preheat your oven to 200°C. Put your saucepan back on the heat and add flour, milk and butter. Remember to whisk it fast – this is the part I always find tricky! Once the flour disappears and the sauce begins to heat up and thicken, remove it from the heat. Grab a good helping of cheese, sprinkle in and stir. 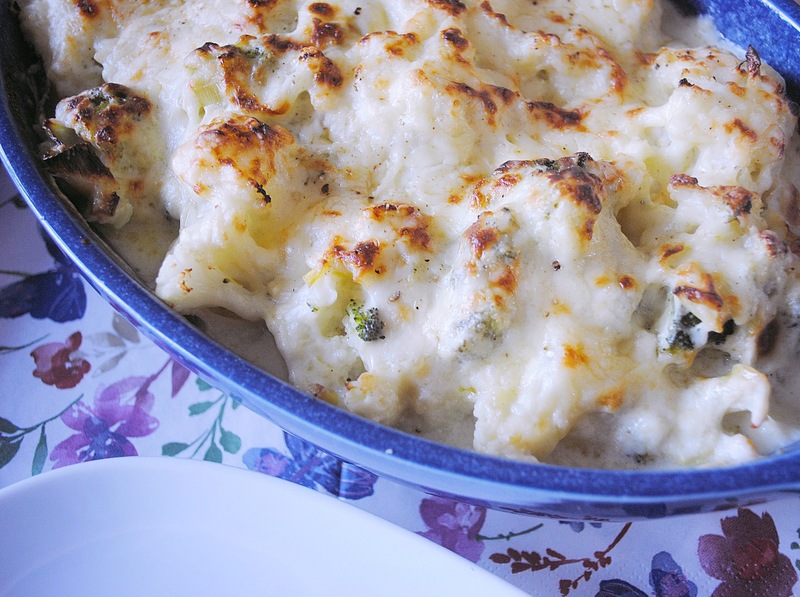 Pour your white sauce over the cauliflower, broccoli and leeks. Now go ahead and add more cheese on top. You can NEVER have too much. Bake for around 20-25 minutes or until golden brown and bubbling. Don’t forget if you’re having this on its own and not as a side, it’s nice to have some crusty or toasted bread with it to mop up all the sauce. What’s your favourite comfort food? If you prefer something sweet, you can try my unicorn fudge and gluten free lemon drizzle cake recipes!